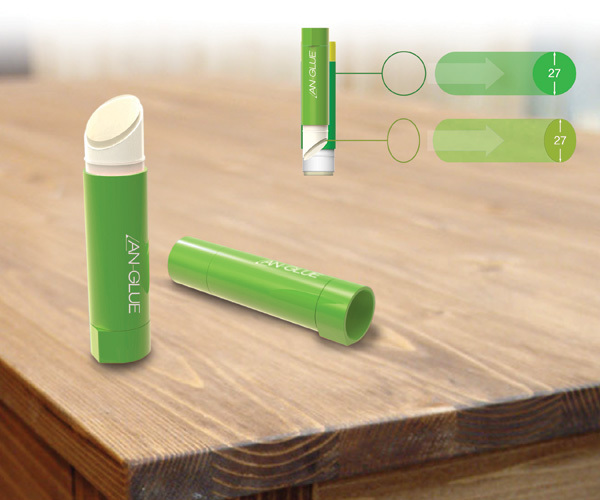 AN-GLUE may come across as a frivolous solution to the glue stick design. But when you are the person who is sealing envelopes or gluing stuff; then you’re gonna be real happy that you have this angled design in hand. For the record, it can be difficult to see the paper when we are applying glue to it, because the gluing hand blocks our line of sight. The angled tip makes it easier to see the gluing path and is easier to use. The base has a ridge that prevents the stick from rolling off the table. Although it is thinner than typical glue sticks, the angled tip makes the application diameter the same as thicker glue sticks. 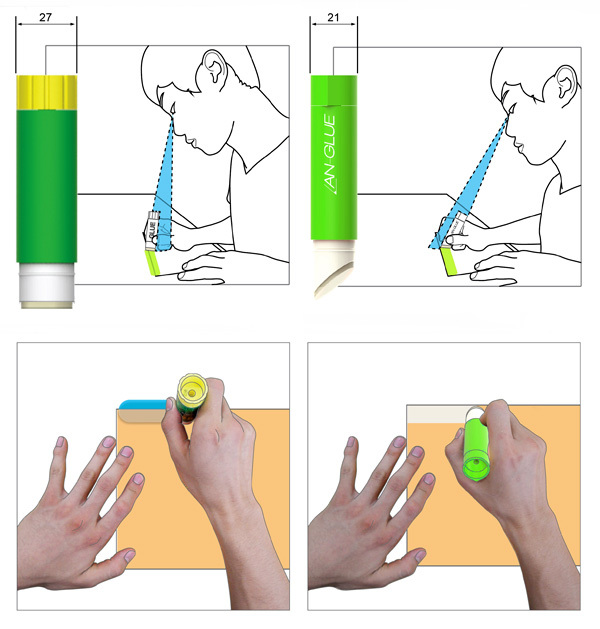 AN-GLUE is a 2012 red dot award: design concept winner.